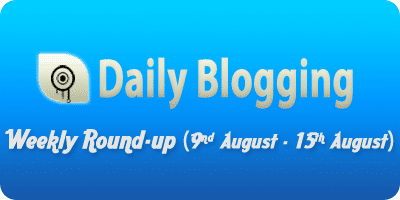 Hi readers, I’m back with another set of weekly round-ups at the start of this hopefully wonderful week. This past week we got approved on BSA (BuySellAds.com). So, if you’re impressed with our traffic stats & want to promote your products/sites then you can advertise with us. Past week we have also added the ‘Top Commentators Widget’ which will display top 5 commentators every month. I tried to post some more articles as the past week had a lot of buzz in it. Hope you liked them. Without wasting much time lets come to the round-up. Thanks to all readers & Commentators for supporting me. Also, to the sharers on Twitter & Facebook too; thanks for the share love. Keep supporting with your share love. Need a specific tutorial which could help solve your problem ? Tell us what you want & I will try to find a solution to solve your problem out! I saw that your website took a sudden improvement in alexa ranking. 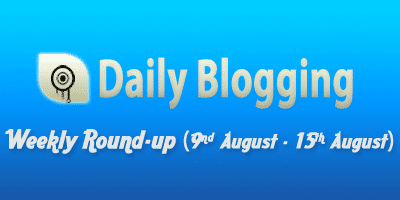 Can you share what actually you are doin to do publicity of your blog. I mean what you are doin to improve your blog’s ranking. If you will post article like this then it would be helpful for bloggers like us. Coz no one post article like this…..
i had like the digg digg article from you….